The move of the competition from Cardiff to Grimsby helped to spur the team on to make sure the shield remained in Wales! After coming close in the past, Kevin Todd pushed himself this year, just beating last year’s winner Mike Crates and 2010 champion Nick Woods to 1st place – ensuring a First, Second and Third Place for E.Ashton in the overall championship – that must be a record! 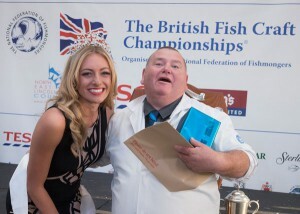 The competition was fierce throughout with competitors from other fishmongers across the UK, companies large and small, including the retail supermarkets Morrison’s and Tesco – with great crowds and great weather on the seafront. 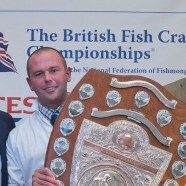 The individual competitions saw great wins for E.Ashton’s too with the team picking up prizes for their fish displays, portion cutting, shellfish, trout, halibut, poultry, and all round fishmongery skills – the list is endless!